A second man was arraigned Monday in connection with the March 15 shooting death of a 30-year-old man in Methuen. Twenty-three-year-old Darren Jimenez, of Lawrence, was formally charged in Lawrence District Court, called an accessory after the fact following the murder of Kelvin Frias of Lawrence, according to Carrie Kimball, spokeswoman for Essex County District Attorney Jonathan W. Blodgett. Frias died the morning after being shot in the head at a gathering at Mr. Hookah vape shop, 170 Broadway, Methuen. 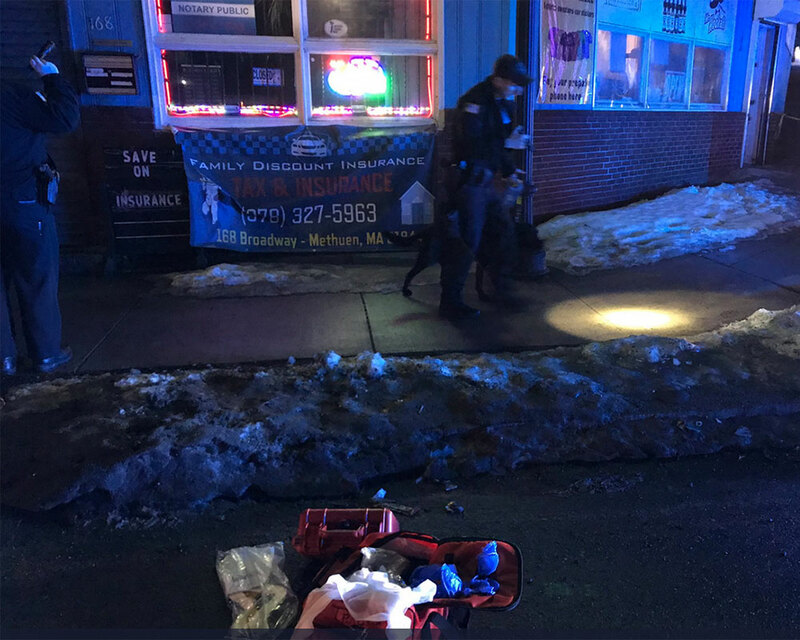 Methuen Police Chief Joseph E. Solomon said the shooting was not a random act and believed to be specifically related to a prior incident at the store. Jimenez’ arrest follows the arrest of 24-year-old Remy Salazar, also of Lawrence, who is accused of firing the shot that killed accused of killing Frias. Salazar was ordered held without bail at his arraignment for murder last week. He is ordered to return to Lawrence District Court May 3 for a probable cause hearing.